European Law requires you to give your visitors from the EU information about the Cookies that are used on your blog. In many cases, it’s also required that you get consent. Google automatically added the EU Cookie Notification on blogs on the Blogger platform to help meet these regulations. The notice explains how Blogger Cookies, as well as the use of Google Analytics and Adwords Cookies. This will only be shown to visiors within the EU, and will disappear when the user clicks “Got it”. It’s important to note that it is the bloggers responsibility to ensure that the notification bar is clearly visible and accurately describes what Cookies are being used. 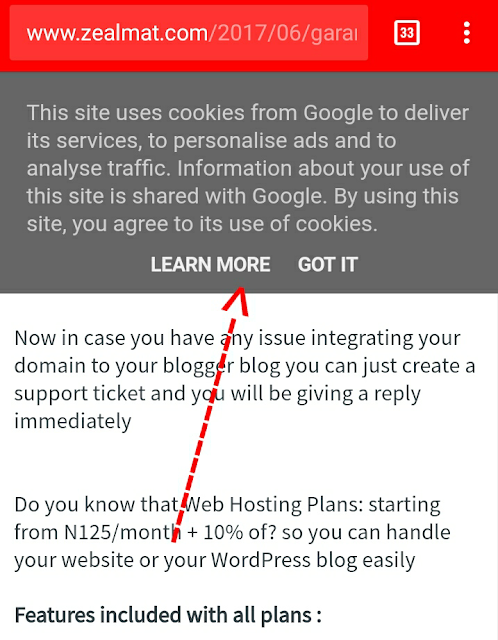 If you wish to remove it, it is your responsibility to inform your visitors and obtain consent for any Cookies that your blog uses. 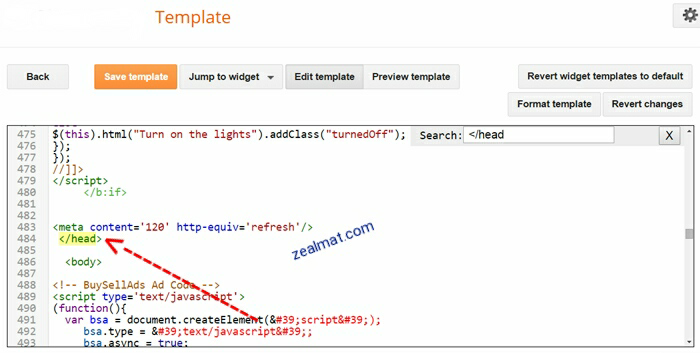 Then finally save your template that's all.